Vicky Spratt is a journalist, campaigner and former deputy editor of The Debrief. In 2016, in her role at The Debrief, she ran a successful campaign, Make Renting Fair, to highlight the plight of ‘Generation Rent’, which resulted in the government announcing a ban on letting agency fees for tenants. She has also worked to highlight the mental health side-effects of hormonal contraception, and her Debrief investigation, Mad About The Pill, was covered on Radio 4 and BBC news. 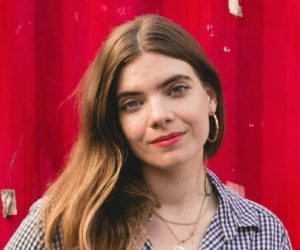 She wrote and co-presented a documentary about the politics of young people for Radio 4, Generation Right, and has written for VICE, Broadly, the BBC, the Independent, London Evening Standard and The Spectator. Her most recent documentary is about abortion rights in Ireland and Northern Ireland. She has appeared as a commentator on BBC Woman’s Hour, Daily Politics, Radio 2, BBC 5 Live and NTS radio and has spoken at political party conferences about the housing crisis.